I have a Matrix build A which produces a coverage.xml in cobertura format in one of its child builds, A1. 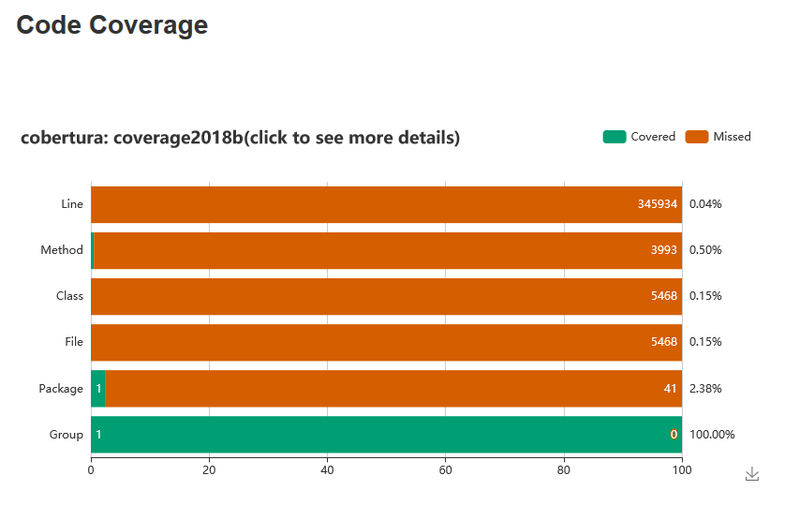 I want to see an overview of the code coverage in the Dashboard View that includes build A and be able to click it to get to the detailed code coverage information. I have a postbuild step that publishes coverage results in build A and the results are indeed displayed in A/A1. I added the Code Coverages(Cobertura) portlet to the dashboard, but it does not find any coverage reports. So I tried adding a build step that copies the coverage.xml from the workspace/A/A1 to workspace/A folder, but still nothing displayed. So my next try was: I configured build A to archive the coverage.xml file and created a build B that is started automatically after build A. Build B uses the Copy Artifacts plugin to copy the coverage.xml from the A/A1 to the workspace of B and afterwards publishes the Coverage Report. Still no results on the dashboard. The Report availble in the test coverage page of B looks different from the one available in A1 and does not show any details. Why did that happen? And how can I make the coverage information available on the Dashboard? Browse other questions tagged jenkins code-coverage or ask your own question.